Today’s blog is written by Andrea Moore, Executive Director of Middle Tyger Community Center. On April 23, 2018, Mary Black Foundation was honored by receiving the 2018 Excellence in Adolescent Health Award from the University of Michigan’s Adolescent Health Initiative in Ann Arbor, Michigan. The Adolescent Health Award is presented to individuals and teams who have exhibited exceptional work in the field and who demonstrate Collaboration, Diversity & Inclusion, Responsiveness, and Quality. Nominations were received from across the country and Mary Black Foundation demonstrated going above and beyond in fulfilling these core values. Nominated by Andrea Moore, from Middle Tyger Community Center. She shares today’s blog about why she nominated Mary Black Foundation. When I read about a nationwide award being given for excellence in adolescent health, I knew immediately that I wanted to nominate the Mary Black Foundation. Spartanburg has experienced a stunning 50% drop in teen births since 2010. This astonishing success story is a result of the efforts of many individuals and organizations working collaboratively, but no single person or entity has done more to move the needle in this area than the Mary Black Foundation. In 2010, Spartanburg County was deemed as having a high rate of teen births at 47.4 per 1000, compared to a national rate of 34.3 per 1000. More alarming was the rate of teen pregnancies among African American girls: 68.7. Committed to health equity and narrowing the gap in disparities, the Mary Black Foundation committed the majority of grant resources to focus on evidence-based interventions and strategies, especially in targeted high-rate zip codes. In 2014, the Foundation applied for and received two large federal grants to support its efforts in teen pregnancy prevention. The first focused on primary teen pregnancy prevention through an initiative called “Connect,” which seeks to promote adolescent friendly services, supports, and opportunities throughout Spartanburg. The second grant supported the expansion of the work Middle Tyger Community Center was doing with pregnant and parenting adolescents, to provide services to young parents across the entire county.The results of these collaborative efforts have been astounding. In 2016, the rate of teen births in Spartanburg County declined from 47.4 in 2010 to 23.5 in 2016 and the disparity between White and African American girls was eliminated. Progress has been especially exciting among younger teens. In 2016, the birth rate for African American girls aged 15-17 was 5.4 per 1000 – a total of eight young women in the entire county! 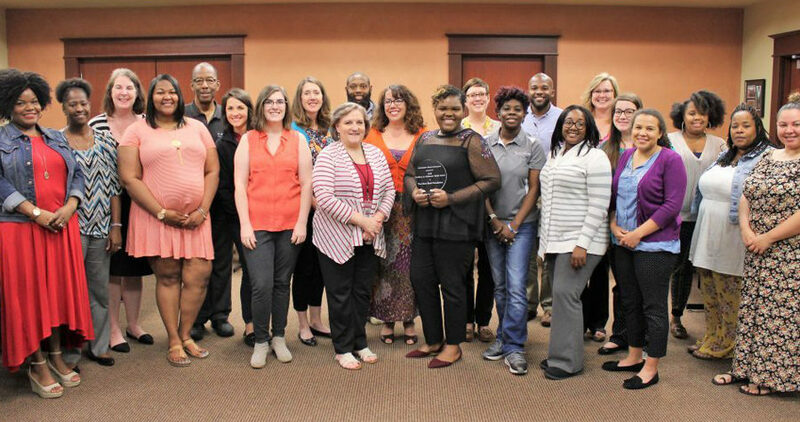 The Mary Black Foundation has successfully led efforts to reduce teen pregnancy in our community by leading with respect for its partner organizations and the young people we serve; however, it is the work of the amazing partners of the Community Advisory Board working to ensure the youth of Spartanburg have the services, supports and opportunities they need to succeed. Special thanks to the Community Advisory Board of Connect Spartanburg (listed below) who made these reductions happen! Want to learn more about Connect visit www.connectspartanburg.org.